Thank goodness for the Stornoway Gazette, that virtuoso of outstanding and cutting-edge journalism. While the appearance of smoking wheelchairs and Bingo no doubt represent a sign that the end is nigh, it is always praiseworthy to read that there are currently ‘No competitions’, and about the Lord’s elect faithfully defending the truth that only hitch-hikers should be supplying the vacant pulpits of the land. Ah, truly the wheat and tares will grow together until the harvest, at which point the mockers shall fry like double-battered Mars bars, and the Revds Richard Ross and Iain D. shall rejoice in the vindication of their brethren. Please pray for A. Campbell that he finds his ‘picture power’. I read ‘The Giru News’ – not available online but a cousin sends it to me every so often. @Bruce: CS Lewis once said, ‘We read to know we are not alone’. 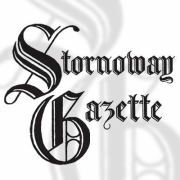 My infrequent glance at the Stornoway Gazette reminds me of the gift of being encountered by the other, and sustains my belief in life on other planets. Good to see the ancestral family traditions are being upheld.